The first place to look for recruits if you’re an Islamic terrorist organization is the greater Islamic community. 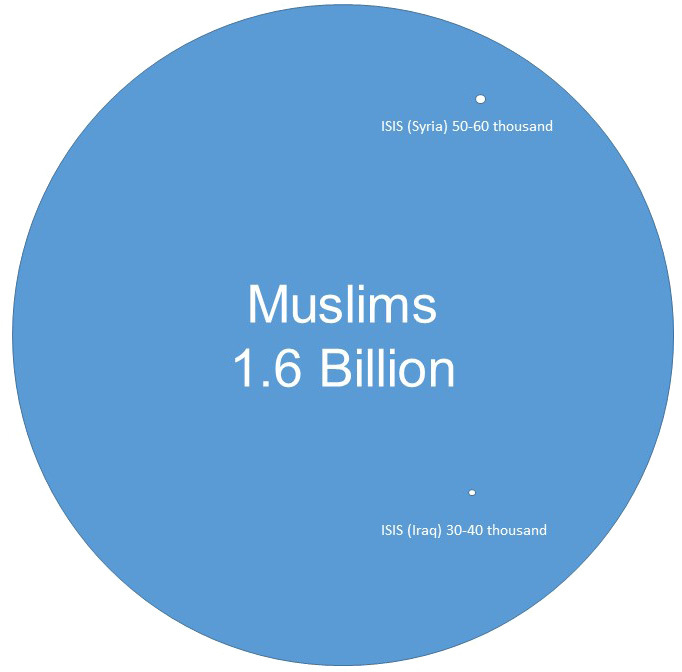 Pew research estimates that there were approximately 1.6 billion Muslims in 2010. Even using the highest possible estimates the population of Peoria, IL (116,000) is greater than that of the Islamic State. How do you get more recruits? We … know that ISIS and others are saying that the only people who will defend Muslims are them, and that’s obviously very dangerous. Islamic terrorists want a war, especially one that is viewed as unjust by other Muslims, in order to recruit more people for their religious war. Islamic terrorists want the Islamic community to believe that they have no choice but to join with the terrorists in a fight against the West. The Islamic State playbook is the Idarat al-Tawahhush, or Management of Savagery, and was attributed to an ideologue who goes by the name Abu Bakr al-Naji. Naji instructed followers to incite ethnic, sectarian, and religious hatred throughout the world so that societies end up dividing along mutual mistrust and a desire for revenge. Naji’s hope was that Sunni Muslims would then largely be blamed—as they now are—as the cause of this intolerance and violence, rendering them hated and left isolated. 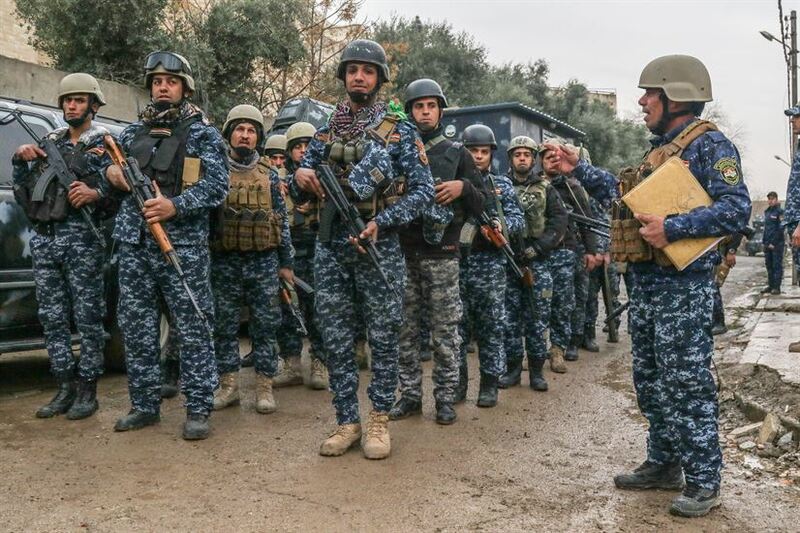 Naji even highlights the importance of provoking heavy state military responses against Sunni Muslims everywhere, so that entire populations of Sunnis feel suspected and attacked by everyone else around them, and turn in on themselves. The idea is that through such division Sunnis would find no refuge from angry non-Muslims and over-reacting states, except in jihadists who would embrace them. In turn, Sunnis would end up swelling the ranks of jihadists’ militias as they began to protect themselves against reprisal attacks. They hope fear drives more recruiting. Sadly, the new administration is giving the terrorists everything they want. Even before the election, terrorists were using Donald Trump in videos as a recruiting tool. Now that Trump is president, he’s delivering on what the Islamic State wants: fear that the West is targeting Islam. If we wanted to win the moderates, we would be targeting the extremists, not Muslims. Trump’s weakness is that he feels he needs to present himself as anti-Islamic in order to be seen, ironically, as strong in the U.S. His weakness is that he’s losing the moral high ground to the Islamic State. His anti-Islamic rhetoric and policies give credence to their claim that the West hates Islam (not the criminals who commit terrorist acts). One of the fundamental goals of counterterrorism is to decrease the payoff terrorists receive from their attacks. With Trump, the chance of a payoff (getting the holy war Islamic terrorists want) has never been higher. This makes terrorism (and a subsequent holy war) more likely. Though the focus here has been on weakness and how it’s likely to lead to more terrorism, we also need a better story about what stops terrorism. What stops terrorism is moral strength, and holding the moral high ground. If we do this, the 1,599,900,000 billion Muslims are more likely to side with us than the terrorists. In the 14 years since 9/11, only 45 Americans have been killed (including the 14 last week in California) on American soil by jihadist violence. Every one of those losses is tragic, and because the fear that one attack suggests another might be around the corner, terrorist casualties have an outsize impact. But in light of an armed, global foe and the universal certainty that we would experience one or more catastrophic attacks with four- or five-digit death tolls after the destruction of the Twin Towers, that is an extraordinary figure and testament to American ingenuity in an extraordinarily complex effort. If we want the vast majority of Muslims on our side, we should be helping them and isolating the terrorists. Sadly, however, it appears many in America have fallen for Trump’s weakness and the paranoid vision that a few terrorists represent all of Islam. Right now, if the U.S. were to suffer a terrorist attack, the odds are pretty high that the terrorists would get the holy war they want. This makes us weak—and more vulnerable to terrorism.